It’s been far too long my tea friends, unfortunately time has flown by since my last blog entry. I haven’t forgotten about you, unfortunately life came in the way of things for a while. So what’s new? Well I’ve purchased a house and after several months of waiting I am a month or two away from finally moving and signing the papers. It should be before Christmas *fingers crossed*. On top of that I was ill for just over a month and was somewhat bed ridden with a prolapsed disc in my lower back. My overall absence was not a happy one but I am looking to put that behind me and come back to my blog with more than ever before. In the next week I have over 10 samples of Darjeeling to review which I am looking extremely forward to. 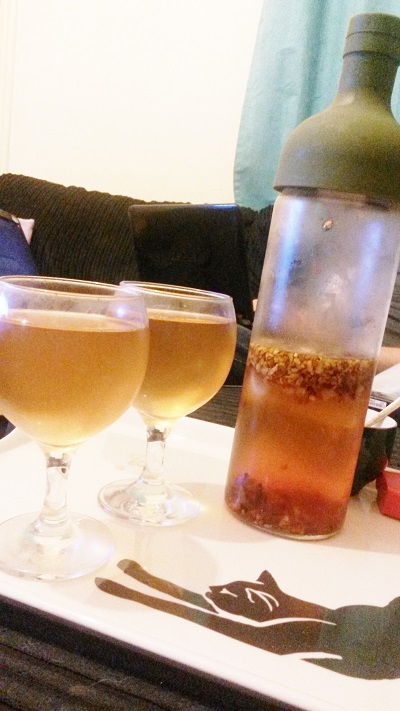 For now I will leave this post short and sweet and finish up with a review for Whittard 0f Chelsea’s Iced Cold Steep Tea Bottle. A couple of months ago I went out with my family for a day trip around a shopping village in Stoke On Trent. I had no idea what shops were there, for me it was purely to spend time with my parents and get out of the house for a while. After walking past a few rows of shops and doubting I would find anything for me I spotted a Whittard of Chelsea store. 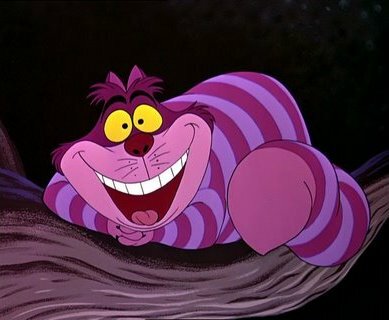 My eyes widened and my mouth grew into a grin, very much like a Cheshire cat. In the store I was greeted by the words SALE and I darted into the corner to browse. 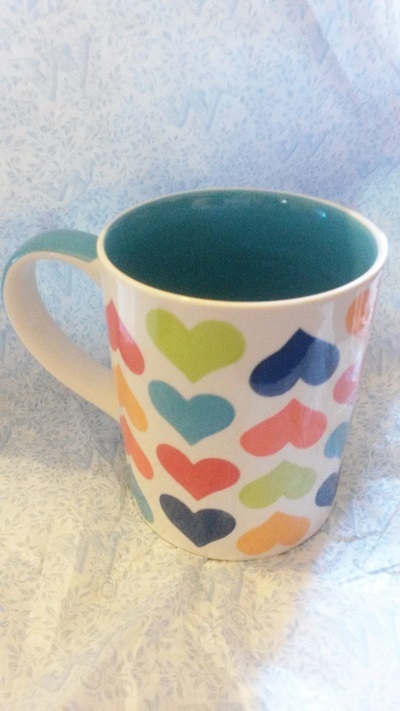 I ended up falling in love with a large heart mug and hugged it while I looked around, at this point the cashier thought she should announce herself to me and asked if I needed help. She probably thought a woman hugging a mug needed help. I politely declined and carried on browsing. Another sale item I just had to have was a tin of English Rose Black tea which was half price as it didn’t have long left on it’s date. That didn’t bother me as I knew I would drink the 50g of it pretty quickly. On top of those two items I also got an instant tea gift set which was on offer rather than in the sale, and a small tin of Apple and Elderflower blend to try as my other half loves apple teas. I huddled my goods to the till and looked to the left display whilst my items were being wrapped. I saw what looked like a wine bottle, but with a coloured silicone lid. It looked odd and it took me a while to work out what it was, which the sales assistant caught me doing and she went over to show me. It was a cold steeper. They had examples for me to try that were made using the cold steeper but I declined, I’m funny about how long teas have been stored. It’s a personal thing, not accusing them of anything. So I contemplated buying one as it looked ideal, previously I was using a Sistema microwave soup pot to cold steep with. I would put it in the fridge for a few hours and then have to pour it through a small sieve over kitchen paper to stop the small pieces. Needless to say it was not the easiest operation though it did work. It was at this time that my mother walked in and announced to add one to my lot at the till and she would pay as a treat. I refused but she would not take no for an answer, so the only decision I had to make in the end was which colour silicone top I wanted, red or green? I chose green. Apparently that was the most popular choice. When I got home a few hours later I unpacked everything and pawed over them with glee, remembering what I had and thinking of where to put them. It was at that point that it made sense to try the cold steeper asap. It was £20 which is not overly expensive though it was a little steep (haha) perhaps. Especially since I didn’t know how good it would be. The instructions were easy enough to follow so I rinsed the bottle before adding whatever tea I could find nearby into the bottle and filling with cold water. I cannot remember which tea it was, though it may have been the English Rose I got from Whittard. After roughly 7 hours in the fridge I pulled it out to see what it looked like, the tea had settled and the water was now coloured. It looked steeped enough to me. So I pulled out wine glasses to befit the wine type bottle and poured. The plastic strainer inside managed to catch the small pieces of the tea and the produced cold tea ended up looking like white wine. It was perfect! Exactly what I had been looking for and needed. After the tea was finished it was a simple case of emptying the tea leaves and rinsing before re-filling and popping back into the fridge. 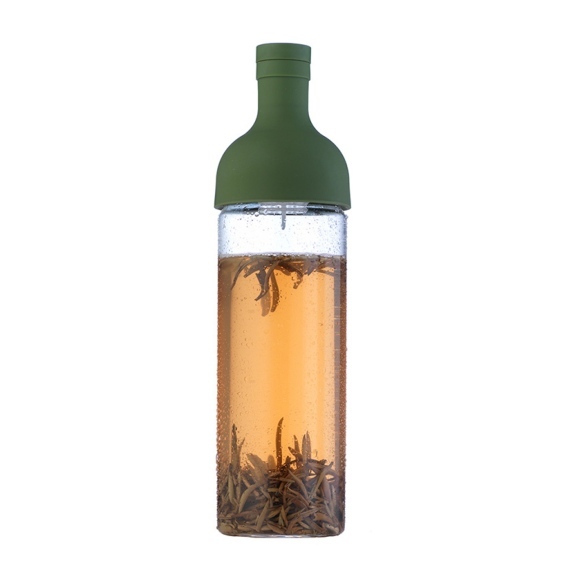 It’s easy to assemble and wash and on top of that the finished tea product tastes amazing. It’s been roughly two months now and I’ve been regularly using the cold steep bottle since. I can report it works as well today as the first day that I used it. For the reasons mentioned above I would heartedly recommend this steeper. It’s not often I buy something and it works exactly as advertised but I am happy to report that this is not one of those products. It’s literally a rinse and use straight from the box, easy enough for everyone to get along with. I hope you get better and I am sure you will have a nice place for your teas in your new home. I think I saw one of these things somewhere but I never trusted them. Perhaps I will give it a second thought. 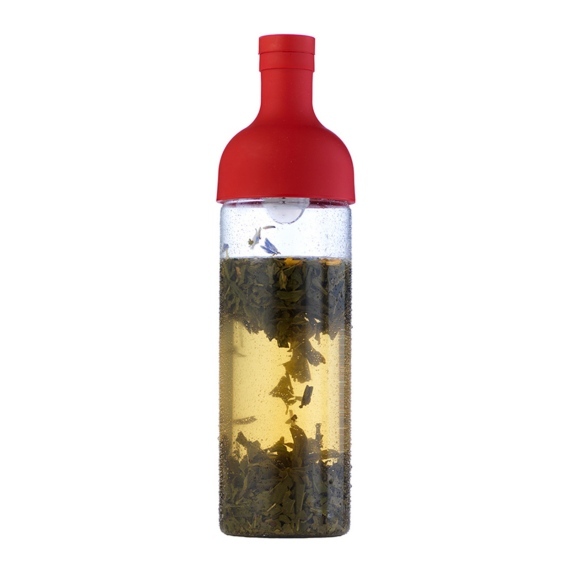 My post brought a few other customers of the cold steeping bottle to come forward and they all agreed it was a great tea gadget. 🙂 I haven’t heard a complaint from anyone yet.